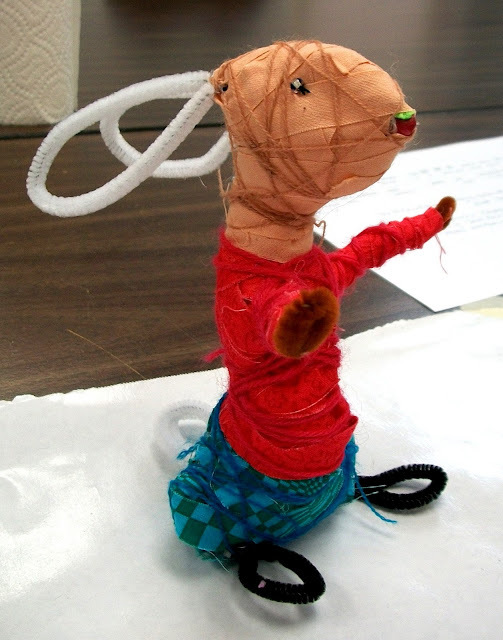 Edward Tulane by Alena M.
I taught my Wrapped Wire Animals workshop this weekend. One student and her art teacher mom decided to make Edward Tulane from the book, The Miraculous Journey of Edward Tulane. It sounds like a wonderful, heartfelt book and I'm looking forward to getting hold of a copy. I would love to hear from anyone who has read the book. What fun! Glad to see you're still teaching that class. Yes...it continues to be a fave. Someday it's going to become a book...After I write the kitchen resists book.